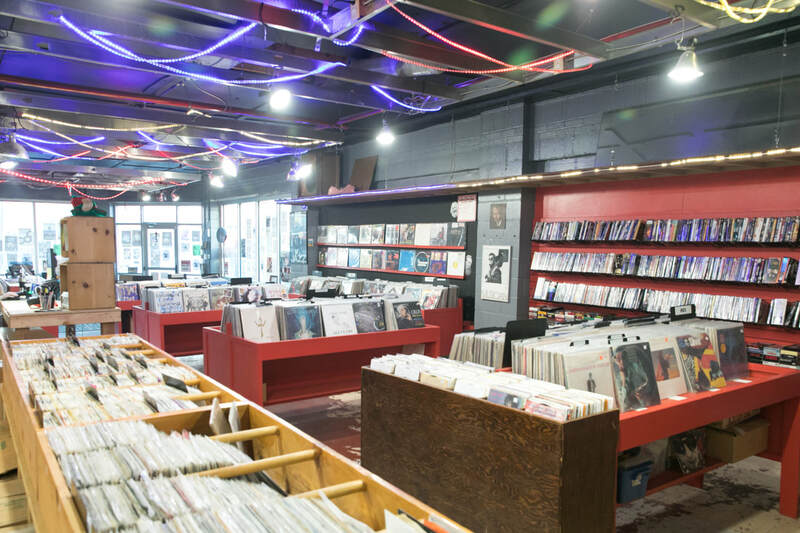 ​Revolution Records isn't your average record shop. Our space is more reminiscent of an old school neighborhood store, the kind where you could go for good recommendations and friendly folks. We strive to build a sense of community and foster the relationship between local musicians and music lovers. We carry a wide variety of new and used LPs, 45s, 78s, CDs, cassettes, DVDs, VHS tapes, posters, punk/radical zines, vinyl care products, stereo equipment, and books. We have a Digger's Room dedicated to sale LPs, 45s, CDs, and zines all for $2 or less! We host local musicians and visual artists every First Friday, as well as doing shows and poetry readings throughout the month with both local and touring acts. We pay the most for your used records so bring them in anytime! Come by and spin some wax, pet our dog, and dig through our racks, we'd love to see your face in our store! Top row(L-R): David Wilcox, Steve Rector(owner), Robin Nazaraean, Mike Alexander, Evan Thomas.